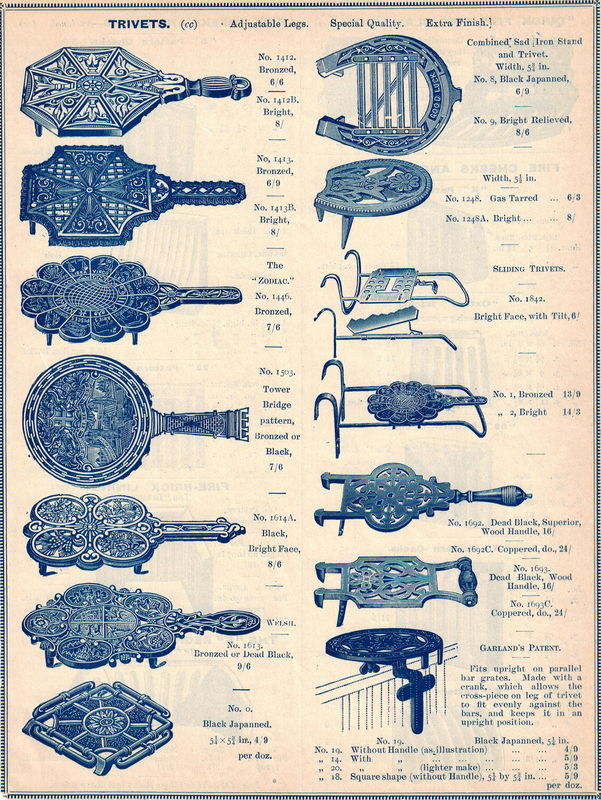 I recently purchased this catalog page which was taken from the 1908 Crowden & Garrod Catalog, London. 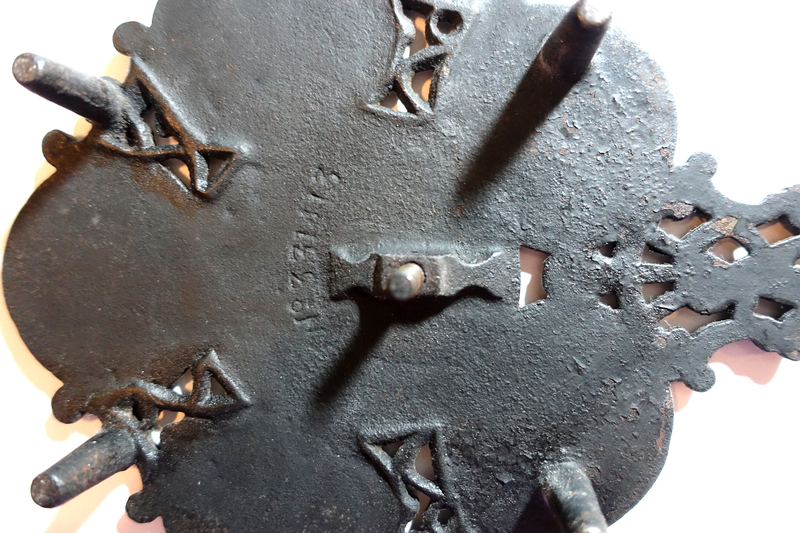 After taking a closer look at the designs I realized I have several of these trivets! Here is one of my favorites. 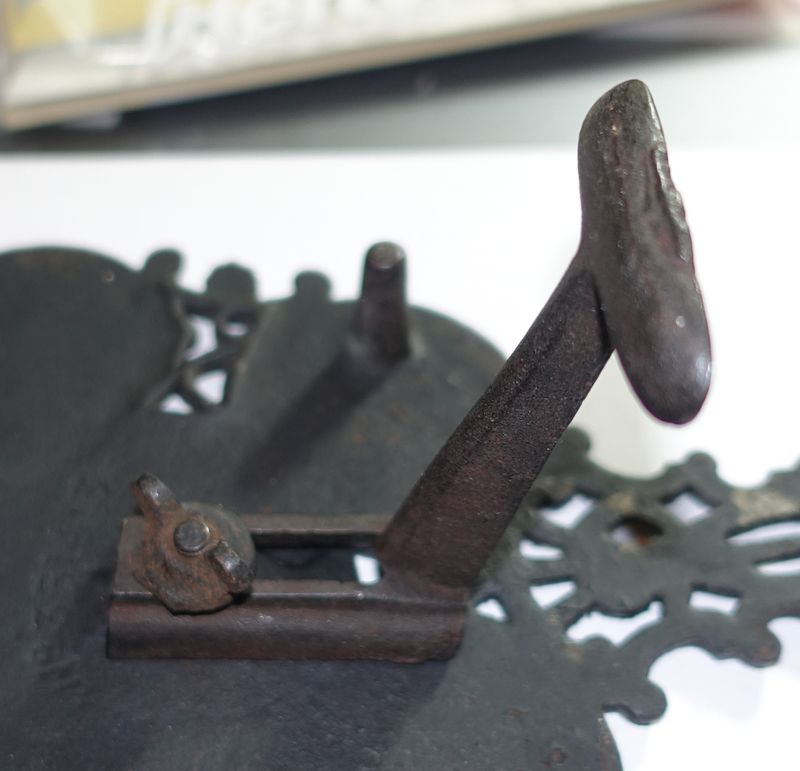 British, cast iron, 9 7/8″ x 6 1/2” w/four 1 1/4” legs. There is a center bracket on the reverse (adjustable and removable) allowing attachment to a parlor stove or fireplace fender. 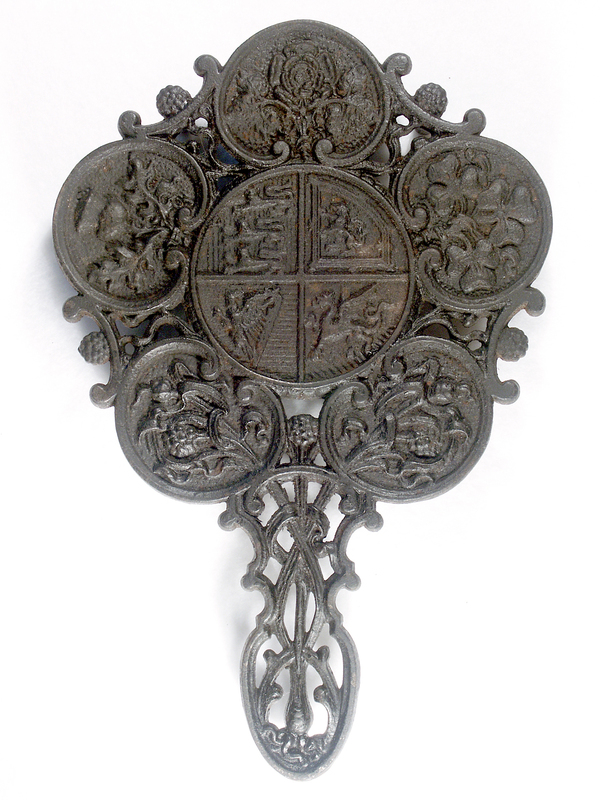 It features the national emblems and flowers of England, Ireland, Scotland and Wales. On the reverse is the Registered Design number No. 331413 (for 1899). 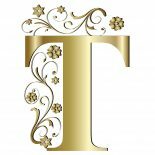 This entry was posted on April 15, 2016 by Lynn Rosack in Antique Trivets & Stands, Great Britain and tagged British Rd Number, cast iron, firebar trivet, United Kingdom.